With new technologies and solutions to the challenges of current logistics, Cold Terminal Laredo was established in 2017 to revolutionize the service of storage and maintenance of products. 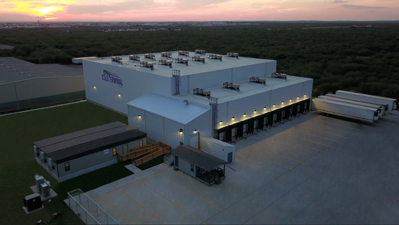 Cold Terminal aims to revolutionize crossborder operations and product quality maintenance for controlled-temperature cargo at a time when new infrastructure in Mexico, such as the Sinaloa–Laredo corridor, promises to expedite transit to the United States. With services such as transloads, real-time computerized inventory control, merchandise separation and re-dispatch, border crossing and trailer parking, the company said products it stores keep their quality and properties from production to final purchase. Their strategic location at the border between the United States and Mexico, FSIS and FDA certification, and technology make it the perfect option to optimizing transit times, reduce costs and deliver better product to consumers.